Image by Adam from another planet... via FlickrIt's on every major news network now. 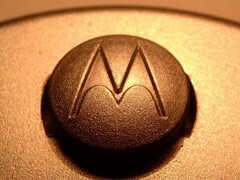 Google acquires the mobile part of Motorola for a hefty $12.5 billion. It's said that this is mainly for patents to defend Android against all kind of patent-trolls, that now seem to shiver in fear. Motorola has a wide range of patents, even on basic technologies for mobile phones. So some companies will eventually have to pay Google in the future. This is a huge thing, and it will help Google a lot for the upcoming battles. But will this be the beginning of a dedicated Google-Phone? Will this lead to a GPhone, that everybody talked about from the beginning? It looks like it's all about the patents. But on the other hand, it's the complete mobile division. And that will likely mean if there is another Motorola phone, it's under the supervision of Google. So a special own Google phone could happen. Another thing is, how the other manufacturers are reacting to this. To this point Google wasn't a hardware manufacturer. But now it could easily be seen as a direct competitor. However, Apple and some other companies are now having a fun time. They woke the dog, now they will feel the consequences of fooling around. Thanks to Markus Weidner for the quick info.